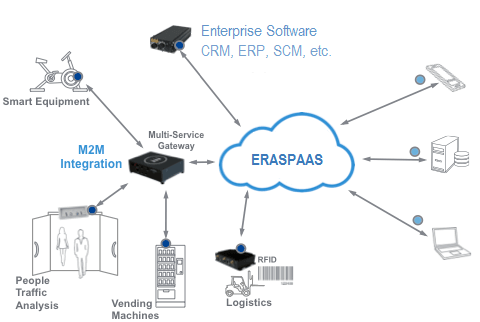 Eraspaas is a software platform that connects enterprise software with website, mobile apps and kiosk providing best ERP software for CRM as Internet of Things (IoT). It extends the concept of Customer Relationship Management by empowering customers with self-service website, mobile apps and kiosk machine for online services and sales. It further provides all the building blocks necessary to setup complete Enterprise Resource Planning software (ERP Software) as a comprehensive Internet of Things. Eraspaas is not a CRM software or ERP software by itself but it is a platform that establishes an Internet of Things. 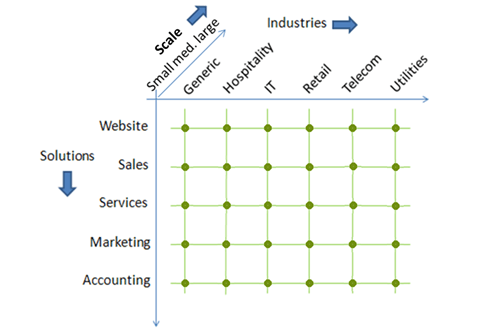 It is the host system that runs enterprise software as an 'Integrated Solution' by connecting multiple business solutions. Software Solutions like CRM, sales, e-commerce website, etc. are provided by Enterox and available at Eraspaas Solution Store, they can be imported in your Eraspaas instance (Eraspaas domain) free of cost and they can also be customized for your specific business needs. Further you can also build your own unique solution or service for business software, website or mobile apps leveraging the same platform features that are available to other enterprise software solution running on Eraspaas. 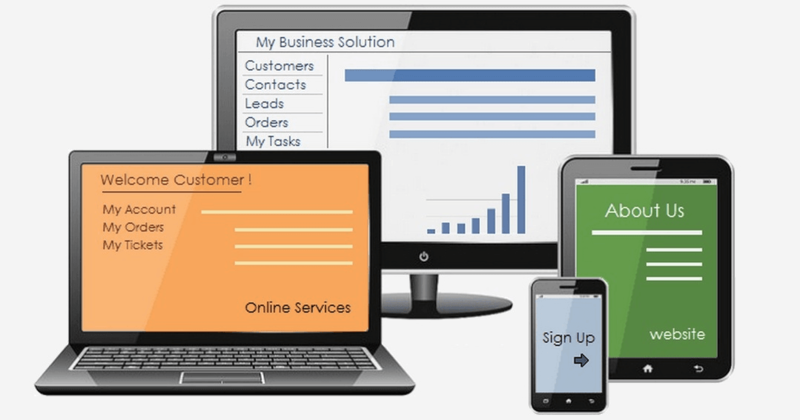 Eraspaas is a unique enterprise software that connects ERP system with website, mobile apps and kiosk machine that are designed for customers. It connects enterprise application and enterprise mobile apps for employees. It enables setting up Internet of Things for Enterprise. The way enterprise software are developed is continuously changing; however certain underlying technical approach for CRM or ERP software solution has remain unchanged. Conventionally enterprise applications have an n-tier architecture, which primarily involves developing backend database, business logic and frontend user interfaces. This approach has certainly been successful for more than a decade but the implementation has been repetitive across CRM and ERP software projects. Eraspaas provides a pre-built implementation of the different application tiers applying proven best practices. So all that remains for developing a CRM or ERP application is plugging in unique business logic and customizing the presentation. Further the platform provides a building-block approach for developing business solutions and assembles such solutions for a complete enterprise resource planning software. It serves as a core engine for ERP Software with CRM capabilities. The platform identifies business software as node in a 3-dimensional matrix of - industries, solutions and scale; and offers a base for building such inter-connected enterprise software solution. i. Structure building blocks – entities, relations, actions, etc. ii. 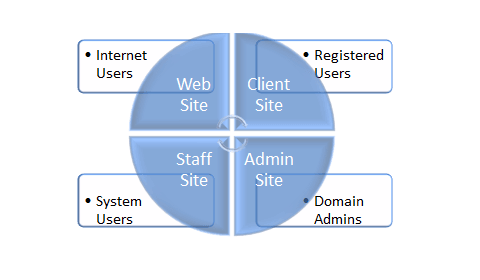 Security building blocks – users, permissions, profiles, etc. iii. Layout building blocks – sites, views, forms, etc. A solution encapsulates these building blocks into a package so they can be deployed or removed as a single unit from a platform service instance. The building blocks can be assembled together to create software solutions that have Service Oriented Architecture (SOA). Such a solution requires little or no programming as the platform automatically generates data structures and functionalities that are commonly required. i. Data and file management with auto-generated actions such as create, read, update, delete, import / export records, upload / download attachments, etc. ii. Graphical User Interface (GUI) for display and user interaction through sites, views, forms and other user interface elements. These automatically generated views and forms also work on mobile and other portable devices. iii. Application Program Interface (API) to allow integration between solutions running on this platform and other software systems through standard web communication protocols. i. Security framework for authenticating and authorizing users with different levels of access permissions on entities and corresponding actions. It also allows authentication through external identity providers (including Facebook, Google and Active Directory). ii. Integration framework to deploy any combination of solutions that work together seamlessly and can also interact with other software systems through multiple Web API protocols (REST and SOAP for both JSON and XML formats). iii. Performance, Reliability, Availability and Scalability are built-in core characteristics of the platform itself, so solutions running on the platform inherit these characteristics and are focused on solving specific business problems. While other PaaS implementations focus on providing the raw materials for developing software solutions, Eraspaas focuses on simplifying the process of development and deployment of enterprise software as "Internet of Things". Eraspaas can also complement other platforms (such as AWS and Azure) as it can be deployed on diverse infrastructures (including private network). This allows consumers to utilize core capabilities of their environment while leveraging Eraspaas for simplification and rapid development. Summarizing in a nutshell Eraspaas is the middleware that automatically builds Database, GUI and API for online services. Setting up Internet of Things with Eraspaas is easy and has a low learning curve as it follows standard practices that allow it to be intuitive for most developers who have an understanding of web architecture. Although it brings a revolutionary way in which business solutions are designed but does not introduce any new programming language nor does it confine to specific programming language or technology. In order to limit the number of instances (domains) we serve, Eraspaas registration requires an invite code. I have an Invite Code! Get Free 60 Days!